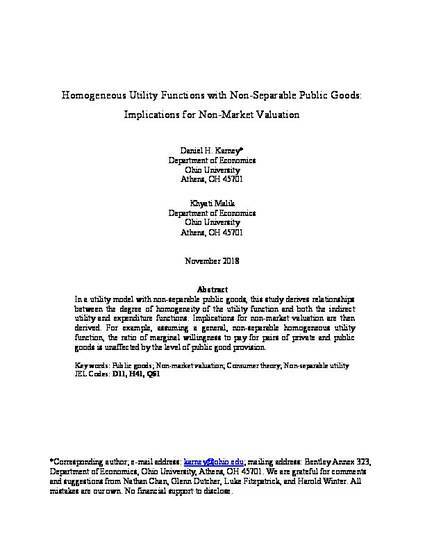 In a utility model with non-separable public goods, this study derives relationships between the degree of homogeneity of the utility function and both the indirect utility and expenditure functions. Implications for non-market valuation are then derived. For example, assuming a general, non-separable homogeneous utility function, the ratio of marginal willingness to pay for pairs of private and public goods is unaffected by the level of public good provision.